BluTech Lenses are infused with Blue Light Plus™, a proprietary combination of pigments and dyes which protects your eyes the way nature does. ›› Clinically proven to increase melatonin levels by 96%. 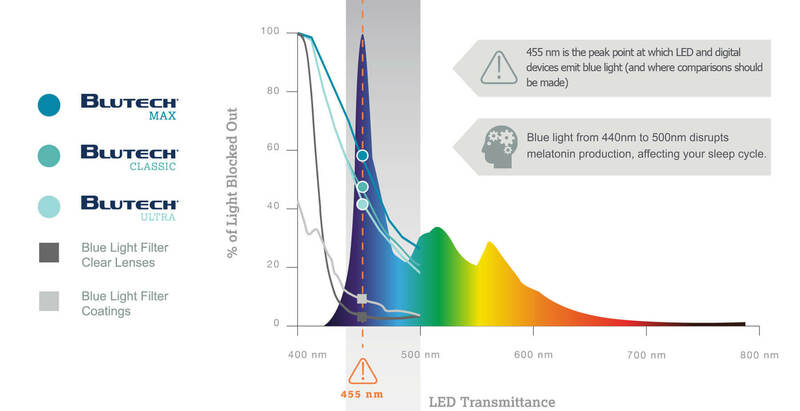 ›› Blocks up to 17x more blue light where it matters. Sleep Issues and Eyestrain are on the Rise for Kids. Parents worry over how all that screen time is affecting their child. That worry is well placed. 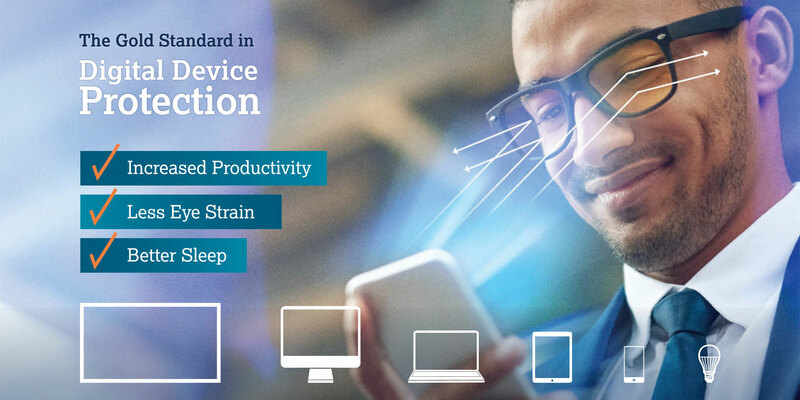 Blue light from everyday devices - tablets and phones - is a major contributor to eyestrain, headaches and even sleep disorders. Many students are now learning with tablets and computers instead of textbooks. Whether your child needs glasses or not, make sure they are protected at home and in school. Available in prescription and non-prescription. Sleep is essential for performance and helps prevent fatigue-related injuries. 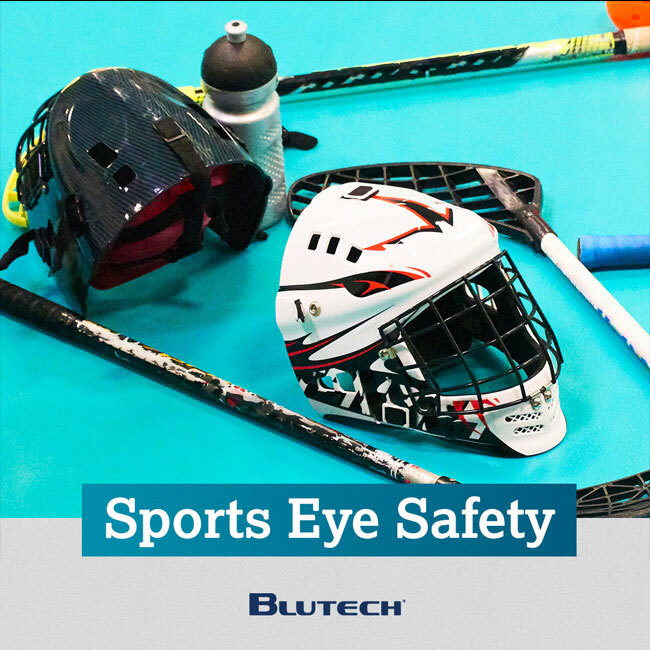 As wearing all the right protective gear for preventing eye injuries is vitally important, it’s also imperative to get the proper restful, restorative sleep that can help keep you alert and on your game. See how BluTech Lenses can help. - Completely clear lenses protect against UV and some short wavelength blue light, but leave you exposed to the peak wavelengths emitted by devices and artificial light. - Blue-blocking glasses block ALL blue light — including healthy amounts, and distort your color perception. 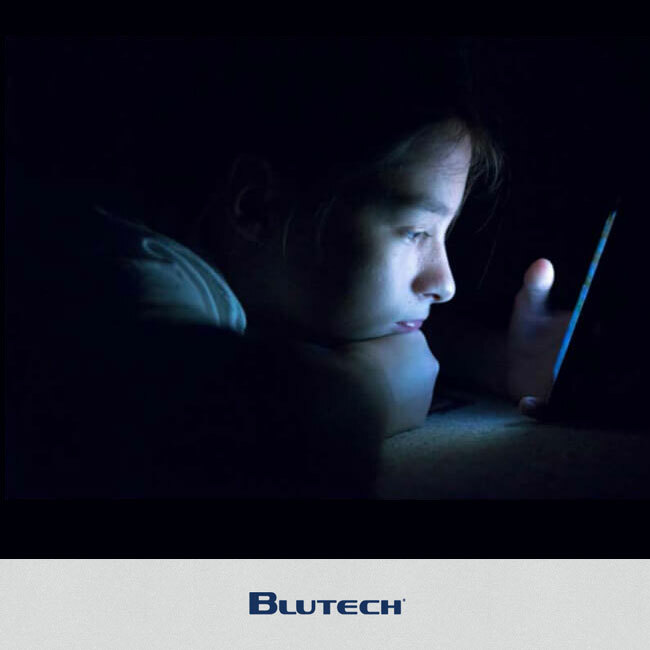 - BluTech’s lenses filter more of the blue light known to be associated with glare, eyestrain, headaches and sleeplessness — without distorting the color you see. 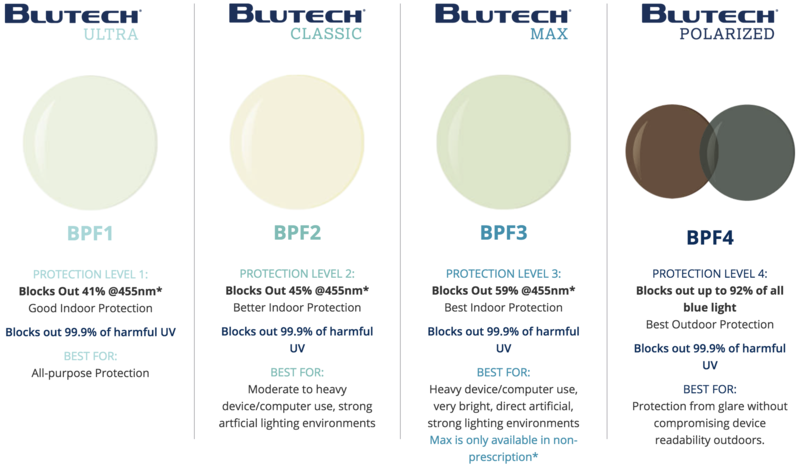 - Not a mere coating that can scratch or wear off, BluTech’s highly advanced lens is infused with proprietary pigments and dyes to mimic the way your eye naturally protects itself against blue light.